What are the best senior living communities in Boise, Idaho? A leader in the senior living industry, Edgewood Senior Living has seven locations in or near Boise, including Spring Creek assisted living. Driven by the tagline "This is home," Edgewood stands out for its commitment to care and bettering its residents' quality of life with services such as the life enrichment program and worship services. Members of these communities enjoy transportation to medical appointments and exciting group activities, among other amenities, though the fine dining provided at Spring Creek may take the cake. The state-of-the-art dining room offers a full menu of fresh, homemade dishes that add the perfect homey touch. Trained staff is on-site 24 hours a day to help with anything from administering medications to lending a hand as needed, giving seniors and their loved ones peace of mind. 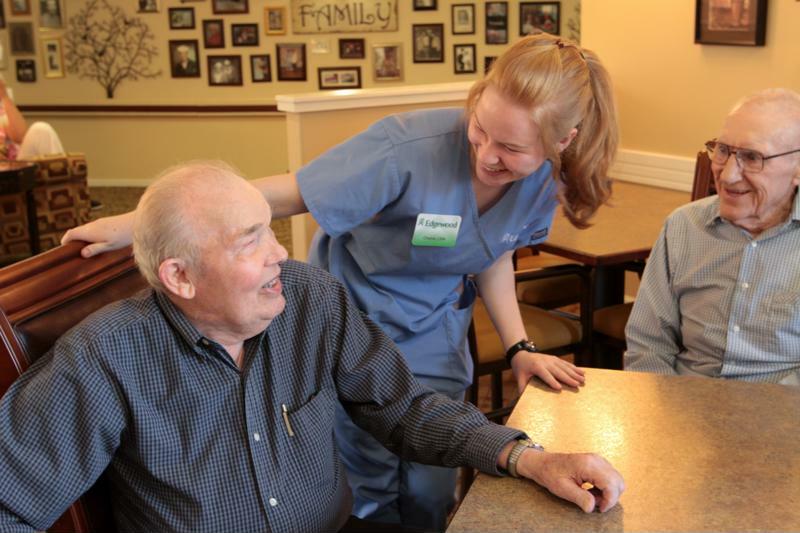 Caring staff can greatly enhance the senior living experience for residents. A location within Brookdale Senior Living Solutions, the Brookdale Boise Parkcenter assisted living community focuses on personalizing care for residents to provide the best senior living experience possible. In addition to apartment maintenance and housekeeping services, Brookdale Boise Parkcenter provides residents with three meals per day, transportation services and social activities. An assisted living community designed to accommodate for varying levels of care, Willow Park is nothing short of high-standard living. This subsidiary of Blue Harbor Senior Living Communities has private and semi-private apartment styles that provide residents with a balance of independence and necessary care. Beyond 24-hour community staffing and wellness programs, for an extra fee, residents can also enjoy therapy services, safety checks and medication assistance. Overland Court provides both assisted living and memory care options for seniors. The trained staff tends to seniors' daily and medical needs, and Overland Court is unique in that it has extra services that enhance the quality of life of its residents. The senior living community has weekly guest speakers, educational programs and cultural events, among other services. Respite care is also available. Following its motto "The Joy of Living Well," Hillcrest aims to adjust residents care plans as their needs change throughout their stay in the community. To optimize care in this way, staff uses a computer-based resident monitoring system to track medications and care requirements. Hillcrest also provides full-time food service, housekeeping, laundry and maintenance staff. When selecting any senior living community, it's important to arrange an in-person visit to tour the building and get a first-hand experience of the environment. Be sure to ask plenty of questions and even speak to current residents if you can. They may provide more detailed insight on what it's like to live at a particular community.